EZ Trans, Inc. is a professional non-emergency transportation company which provides patients with transportation to and from dialysis centers, rehabilitation centers, doctors' appointments, hospital-admission/discharge, personal events and much more. Our company was established in 2000, in the city of Glendale as its headquarters, with coverage throughout Southern California. Transportation can be very stressful and our mission is to make it as easy as possible. We take every measure to secure the peace and comfort of our patients, so that transportation means are one less concern. With over a decade of operational experience, we are proud to declare that we have consistently met our mission and have simultaneously surpassed all of the industry’s standards. 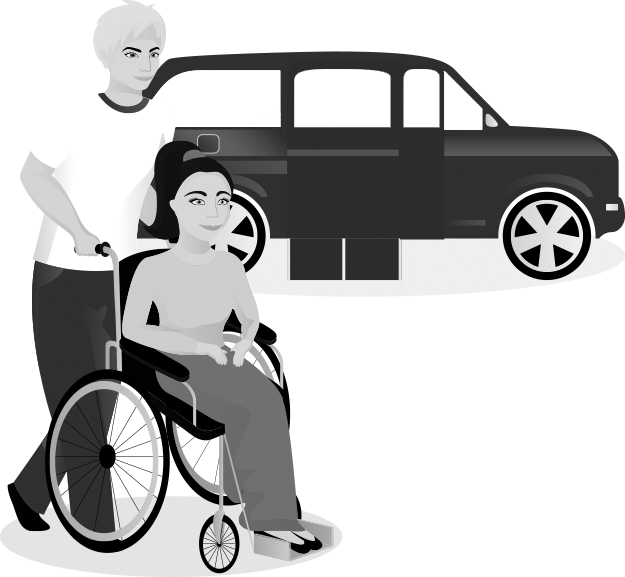 Why use non-emergency medical transportation? Road and traffic conditions in greater Los Angeles can get dangerous. EZ TRANS provides exceptional insurance coverage, and eliminates liability concerns. All our drivers have impeccable driving records, and years of experience specifically in the medical transportation field. In addition, all drivers are CPR certified and can provide urgent treatment in times of emergency. Our company is uses specially designed vehicles to make transportation very safe and comfortable. Once you schedule your transportation, one of our office associates will confirm all details of your trip. You will receive a reminder call one day prior to your scheduled appointment. On the day of your trip, the assigned driver will arrive to your pick-up location, at your scheduled time, and will call you to inform you of their arrival. They will assist you into the vehicle. Once on route, the driver will provide safe and reliable transportation and get you to your appointment in a timely manner. Once your appointment is complete, a similar process will repeat for your return ride.